Who wants to try polka dots? Input text: the [image] backdrop. the small man is 2 feet in front of the herd. 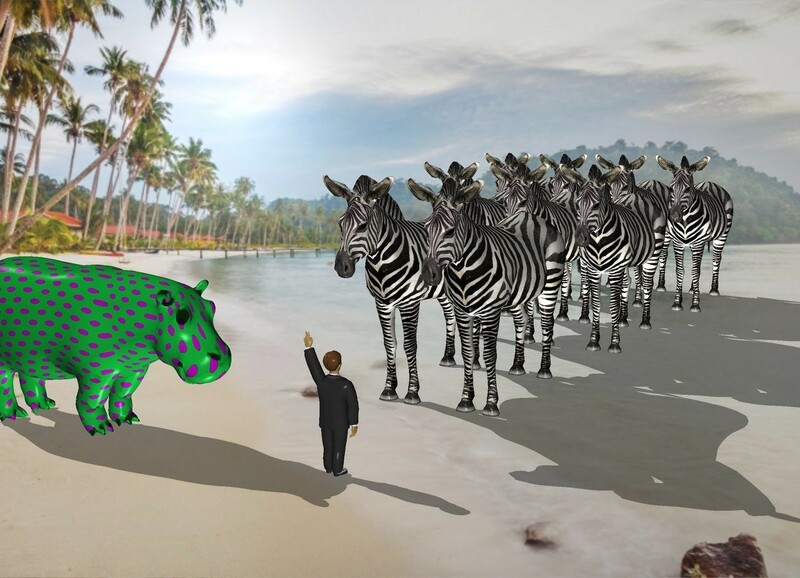 he is facing the herd. herd. the hippo is 2 feet to the left of the man. it is facing right. the polka dot texture is on the hippo. the texture is 9 inches tall.